Phase Two of the Business Gateway Local Growth Accelerator Programme (LGAP) will see a £483,000 business support programme delivered by the Business Gateway team. It was approved last week by the council’s Environmental, Development and Infrastructure Committee. It follows Phase One of the programme, which closed in December last year. LGAP gives growing local businesses the chance to access grant funding and specialist advice to help them expand. It is funded by Argyll and Bute Council and the European Regional Development Fund (ERDF). More than 100 Argyll and Bute SMEs registered with LGAP in Phase One, with the demand not expected to decrease in the next phase. Phase Two will include ERDF funding of £338,100, with the council required to provide match funding of £144,900. Subject to approval by full council, the £144,900 will be wholly provided from the West of Scotland Loan Fund (WSLF) surplus, meaning Phase Two will bring no additional cost to the council. 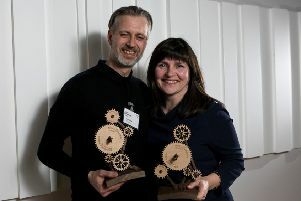 Overall, Business Gateway Argyll and Bute last year supported 108 new startup businesses, projected to create 144 new jobs and bring about a combined turnover of nearly £5.5 million – with a customer satisfaction rate of 92 per cent. Phase Two will now go to full council for approval next month, after which the programme will be ready to begin taking new registrations.